The ASCE Las Vegas Younger Member Forum (LV YMF) is pleased to provide a Civil P.E. Review Course for the NCEES P.E. Exam. This course includes detailed presentations by experienced professional engineers and notable faculty members from the University of Nevada, Las Vegas Howard R. Hughes College of Engineering. This course is offered twice a year to help members prepare for their PE Exams and is open to anyone with a special discount rate given to active ASCE Members. Our course covers all subjects of the Civil Engineering P.E. Exam: Structures, Horizontal/Vertical Curves, Water Chemistry/Groundwater, Wastewater, Geotechnical, Hydrology/Open Channels, Construction, Hydraulics/Pressurized Flow, and Traffic Engineering. Increase your chance of passing and register today! More details about the Fall 2017 Review Course will be coming soon! Conveniently scheduled on weekends or evenings. Affordable pricing! We offer one of the cheapest review courses available and it all supports the chapter's events and activities! NOTE: You can now take the P.E. Exam immediately following graduation with an approved B.S. in engineering and an E.I. certificate. Please note that although you may sit for the PE Early Exam, you must gain four years of experience in order for you to obtain your license. If you are planning for professional licensure in other states, you should check their requirements before taking the Nevada P.E. Exam early, so you won't jeopardize your eligibility there. Applications for the Nevada P.E. 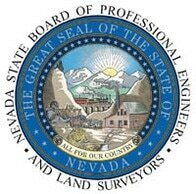 Exam and further information can be found online at the Nevada State Board of Engineers website.